Dustfall Training in Cape Town. Theory and practical training. Course can also include other adhoc topics if required. 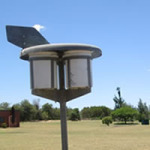 Contact Chris on 082 875 0209 or chris@dustwatch.com for more information. Address for training is 17 Mauritius Crescent, Capri Village, 7975.